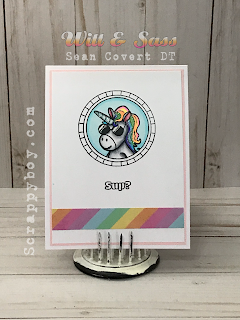 Scrappy Boy: Welcome to the Witt & Sass Stamp Company Launch!!! 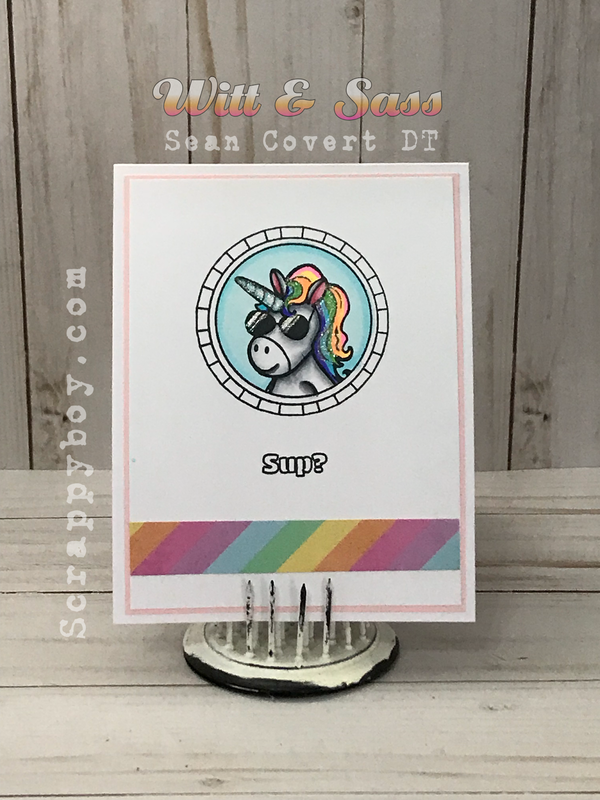 Welcome to the Witt & Sass Stamp Company Launch!!! Hello and welcome back fellow crafters!!! I am SOO excited to be able to say that I am a designer for Amy Osburn Purdie's new stamp line called Witt and Sass Stamp Company!!! 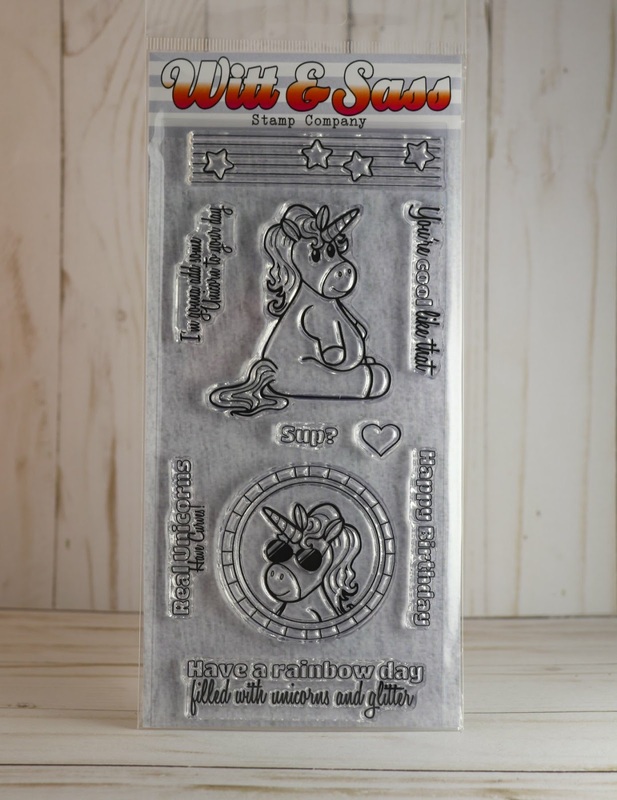 You are going to LOVE these stamps and stencils!! 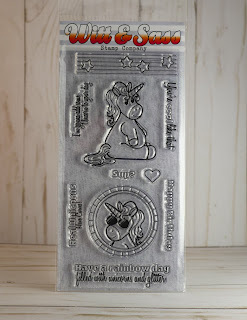 Amy has a fun and whimsical sense of humor that translates to these designs amazingly!!! 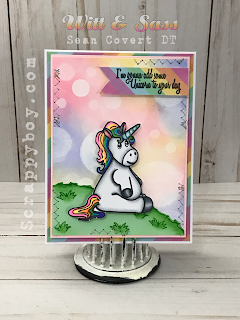 For the first launch we are working with Purdie the Chubby Unicorn!! She's SOOOO cute!!! Just wait until you get to play with her!!! For my project I choose to do a Bokeh background!! So keep in mind, I had no clue how to do that, BUT I watched Amy's tutorial on YouTube and within 10 minutes I was Bokeh'ing away!!! LOL. ISN'T SHE SOOOOO CUTE!!!! I just love her!! I always like to finish the inside, so here it is. 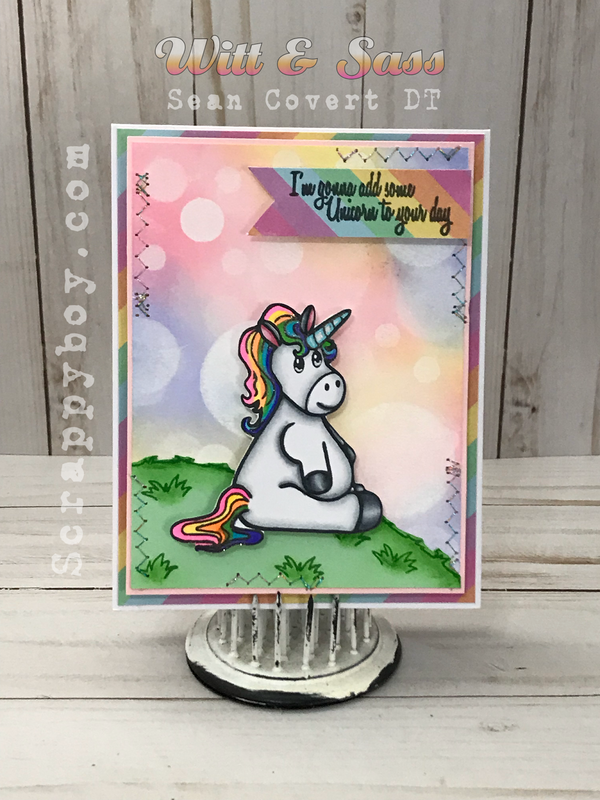 Please pop on over to the other Design Team members blogs and see their AMAZING creations as well!! I've not seen SOOO many talented people in one spot before!!! Make sure you take a look at the Witt & Sass Blog for some more inspiration!!! Such adorable cards. Love the Bokeh background. Just fabulous. A few of us have named Purdi the 'Chubster' lol. I'm loving your card and I'd also love to learn the Bokeh effect. Your looks great. Forgot to ask :- have you a link for Amys youvtube tutorial?